Missouri's Attorney General Chris Koster declined to seek an injunction against the ongoing Antitrust conduct of Missouri licensed beer distributors and members of the Missouri Beer Wholesalers Association violating RSMo. 416.011 et seq. of the Missouri Antitrust Law. However, the week after Attorney General Koster declined, the US Department of Justice obtained a Consent Decree against AB Inbev. and Molson Coors to restrain the same conduct I described being committed in the State of Missouri. The Department of Justice announced today that it has agreed to a settlement with Anheuser-Busch InBev (ABI) that will permit ABI to proceed with its acquisition of SABMiller. The settlement requires ABI to divest SABMiller’s entire U.S. business – including SABMiller’s ownership interest in MillerCoors, the right to brew and sell certain SABMiller beers in the United States and the worldwide Miller beer brand rights. This settlement will prevent any increase in concentration in the U.S. beer industry. The settlement also prohibits ABI from instituting or continuing practices and programs that limit the ability and incentives of independent beer distributors to sell and promote the beers of ABI’s rivals, including high-end craft and import beers. Moreover, the settlement precludes ABI from acquiring beer distributors or brewers – including non-HSR reportable craft brewer acquisitions – without allowing for department review of the acquisition’s likely competitive effects. The department’s Antitrust Division filed a civil antitrust lawsuit today in the U.S. District Court for the District of Columbia to block the $107 billion transaction, along with a proposed settlement that, if approved by the court, would resolve the competitive harm alleged in the lawsuit. The department’s complaint alleges that the proposed transaction would substantially lessen competition in the national market for the sale of beer in the United States and in at least 58 local markets in the United States. According to the department’s complaint, through its acquisition of SABMiller, ABI would gain a majority interest in MillerCoors. ABI and MillerCoors jointly account for approximately 70 percent of beer sold in the United States. The acquisition would create many highly concentrated local geographic markets, with some combined shares in excess of 90 percent. As a result, under the terms of the proposed settlement, the companies are required to divest SABMiller’s entire ownership stake in MillerCoors. The companies will also divest the right to brew and sell all SABMiller beer brands currently imported or licensed for sale in the United States. Finally, the companies will divest all rights to SABMiller’s Miller-branded beer worldwide. According to a Competitive Impact Statement (CIS) also filed by the department, the divesture of SABMiller’s interest in MillerCoors to Molson Coors alone was insufficient to remedy the competitive harm arising from the transaction. As explained in the CIS, Molson Coors and ABI have interactions outside the United States which present opportunities to facilitate coordination in the United States – opportunities that MillerCoors does not presently have. To address this competitive concern, the settlement provides additional relief aimed at protecting the competitive constraint that other brewers provide – in particular, brewers of high-end craft and import beers – on ABI’s and Molson Coors’ ability to raise prices, either unilaterally or through coordination, on their beers. Among other things, the settlement prohibits ABI from instituting or continuing practices and programs that disincentivize distributors from selling and promoting the beers of ABI’s high-end and other rivals. In conducting its investigation, the department cooperated with its counterparts in a number of jurisdictions that also reviewed the transaction. “We thank our enforcement partners around the world, especially from the European Commission, Canada and China, for their close and constructive collaboration on this matter,” added Deputy Assistant Attorney General Pfaffenroth. ABI is a corporation organized and existing under the laws of Belgium, with its headquarters in Leuven, Belgium. ABI owns and operates 19 breweries in the United States. ABI owns more than 40 major beer brands sold in the United States, including Bud Light – the top-selling beer brand in the United States – and other popular beer brands, such as Budweiser, Busch, Michelob, Natural Light, Stella Artois, Shock Top, Goose Island and Beck’s. SABMiller is a corporation organized and existing under the laws of the United Kingdom, with its headquarters in London, England. SABMiller operates in the United States through its 58 percent ownership interest in the MillerCoors joint venture. MillerCoors is a limited liability company organized and existing under the laws of the State of Delaware, with its principal place of business in Chicago. Under MillerCoors’ corporate governance structure, SABMiller and Molson Coors, through their designated representatives, have an equal right to govern MillerCoors. MillerCoors owns and operates 12 breweries in the United States. MillerCoors has the sole right to produce and sell in the United States more than 40 major brands of beer, including Coors Light and Miller Lite—the second- and fourth-highest selling beer brands in the United States. MillerCoors also has the right to produce and sell in the United States other popular beer brands, such as Miller Genuine Draft, Coors Banquet and Blue Moon. In addition, MillerCoors has the exclusive right to import into and sell in the United States certain beer brands owned by SABMiller, including Peroni, Grolsch and Pilsner Urquell. The proposed settlement, along with the department’s CIS, will be published in the Federal Register, consistent with the requirements of the Antitrust Procedures and Penalties Act. At such time, any person may submit written comments concerning the proposed settlement during a 60-day comment period to Peter J. Mucchetti, Chief, Litigation I Section, Antitrust Division, U.S. Department of Justice, 450 Fifth Street, N.W., Suite 4100, Washington, D.C. 20530. At the conclusion of the 60-day comment period, the U.S. District Court for the District of Columbia may enter the proposed settlement upon finding that it is in the public interest. I am writing to follow up on my April 13, 2016 to you regarding the ongoing conduct of Missouri licensed beer distributors and the beer suppliers AB Inbev. and Molson Coors to criminally violate RSMo. 416.011 et seq. of the Missouri Antitrust Law. Despite the seriousness of the violations documented in that letter, my Missouri Corporation has not received a response from your office. Even while members of the Missouri Beer Wholesalers Association and other distributors have escalated their unlawful monopolization acts to keep low cost beers including KC LiteTM out of the Missouri market. On January 16, 2016 Heart of America’s CEO Lance Forsee unilaterally canceled the contract to distribute kegged craft beer produced by the Missouri corporation Belleville Brewing Company, LLC in retaliation the day after the Belleville owners stated in a KSN Joplin television interview at the brewery that they would be brewing KC LiteTM beer in kegs. Heart of America’s CEO Forsee knew this unlawful monopolization act would cut off Belleville Brewing Company, LLC from the Missouri market entirely and would likely cause great financial harm to the brewer by preventing the perishable beer from being able to reach any consumers. Carlos Brito’s AB Inbev Missouri distributors have adopted anticompetitive tactics of interfering with KCB Distributing’s delivery of KC LiteTM beer to Missouri liquor stores and bars. In April, members of the Missouri Beer Wholesalers Association, which are AB Inbev and Molson Coors distributors, including Central States Beverage Co hassled KCB Distributing drivers and salesmen, even calling them with false threats that the use of the word “Lite” was controlled by Molson Coors and telling Missouri retailers that KC LiteTM beer was not a lawful product or a registered and licensed brand in Missouri. In April and May, other Missouri Beer Wholesalers Association members took it upon themselves to discourage retailers from selling KC LiteTM beer with threats of decreasing access of non-cooperating retailers to AB Inbev and Molson Coors if they continued to feature KC LiteTM beer. Other distributors caused KC LiteTM beer to be moved to hidden locations in stores or taken off the shelves to prevent customers from choosing KC LiteTM beer over the monopoly inflated prices of Bud Light and Miller Lite. A key Lake of the Ozarks retailer explained to KCB Distributing that significant amounts of cash prepayment as bribes were required to allow beer products to be sold during peak Summer holidays. Kansas City Breweries Company’s April 13, 2016 letter to your office was written just after the Missouri Beer Wholesalers Association Andy and Bernie Fechtel of Fechtel Beverage & Sales had refused to distribute KC LiteTM for no valid or lawful business reason, despite first hand evidence of its superior sales and higher profits than Bud Light and Miller Lite. In addition to the public unlawful incentives to restrain trade and secret unlawful express price rigging agreements employed by Carlos Brito, CEO of AB Inbev and Peter Swinburn of Molson Coors to violate Missouri’s Antitrust Laws, the power of these foreign corporations over the Missouri alcoholic beverage market is so great that tying agreements and the ability to discipline retailers that violate AB Inbev and Molson Coors’ monopolizing market practices for macro beers and the craft beers owned indirectly by AB Inbev. In the beginning of May, Susan B. McCollum, Chairman and Chief Executive Officer of Major Brands also declined to distribute KC LiteTM for no valid or lawful business reason, reestablishing Major Brands refusal to distribute KC LiteTM in the Winter of 2015 for $10.00 a case. 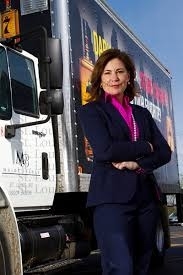 As a distributor of beers, wines, and spirits to retailers that rely chiefly on sales of Bud Light and Miller Lite products, Susan B. McCollum realized that Major Brands sales of its existing products across Missouri were threatened by Carlos Brito, CEO of AB Inbev and that foreign company’s monopolization and unlawful anticompetitive strategies after allocating the US Market share of Miller Lite to Molson Coors in an agreement to restrain trade of new entrants to the market for beer. I renew Kansas City Breweries Company’s request that you to use your agency’s revolving Antitrust enforcement funding to obtain an immediate injunction against the licensed Missouri distributors Glazer's, North Kansas City Beverage Co., Central States Beverage Company, and Fechtel Beverage & Sales from participating in any unlawful agreements restraining trade including group boycotting and price fixing through refusal to deal by AB Inbev. and Molson Coors in Carlos Brito and Peter Swinburn’s felony monopolization scheme. I am writing you regarding the ongoing conduct of Missouri licensed beer distributors and the beer suppliers AB Inbev. and Molson Coors to criminally violate RSMo. 416.011 et seq. of the Missouri Antitrust Law. These crimes are committed through express written agreements to control the price of beer sold in Missouri and involve Missouri licensed beer distributors participating in a group boycott of lower priced competitors of AB Inbev. and Molson Coors by refusing to deal, and to exclude lower priced products, all of which are per se violations of RSMo. 416.011 described in State Antitrust Laws: New Directions In Missouri Kermit W. Almstedt, Richard B. Tyler, pp 497-8 Missouri Law Review, Vol. 39, Iss. 4 Fall, Art. 1. Since the 2012 reinstatement of the Missouri corporation Kansas City Breweries Company (once Kansas City’s largest industrial employer), I have been repeatedly blocked from bringing to market two new beers KC LiteTM and KC LagerTM to meet the need for an inexpensive regional beer. Brydon, Swearengen & England, Chief Counsel for the Missouri Beer Wholesalers Association assured my company that MBWA would not participate in prohibited antitrust conduct. Yesterday, a Missouri distributor revealed to my company that written agreements to restrain trade by distributors of AB Inbev. and MolsonCoors products actually exist and that Kansas City Breweries Company would be boycotted by all distributors because its products are too inexpensive and competitive. Jason Booher, an official for Heart of America Beverage, LLC stated on the afternoon of April 12, 2016 that selling our beer KC LiteTM would injure Heart of America’s “interests in other client’s products” and that they would never sell inexpensive beers that would take market share from their AB Inbev. and MolsonCoors products. This was witnessed by two of my company employees and at least three Heart of America employees, and took place in a conversation where the Heart of America employees stated they knew of the stores selling KC LiteTM in their territory and it was outselling Bud Light Coors and Millers at the largest liquor store. Part of the over two years of unnecessary delay my company suffered being prevented from any access to market with our products resulted from the representations of distributors including Heart of America’s CEO Lance Forsee, that they would with certainty distribute Kansas City Breweries Company’s products and that from their knowledge of the market, their territories, the light blue KC LiteTM beer selling at such a low cost would quickly move and be a big seller. Knowledgeable distributors like Curt Borland of North Kansas City Beverage Co., Inc. have declared that would be a very large seller in their territories and that while AB Inbev. and MolsonCoors demand was flat, great growth of demand exists in the market for independent and local beer companies and since Kansas City Breweries Company had a light beer it would far exceed the sales of craft beers. This enthusiasm for the success distributors would have selling KC LiteTM was expressed most recently by Andy Fechtel of Fechtel Beverage & Sales who with his father Bernie were certain KC LiteTM would be a good seller as a low cost light beer in the territory they service, then like Lance Forsee, and Curt Borland, Andy Fechtel suddenly backed away from any commitment to carry KC LiteTM , even on credit terms with freight prepaid and a guarantee to buy back any unsold beer. In short, Missouri licensed independent distributors are currently participating in per se restraint of trade on behalf of AB Inbev. and MolsonCoors, even against their own profit interest and in the absence of any lawful business reason. After AB Inbev. 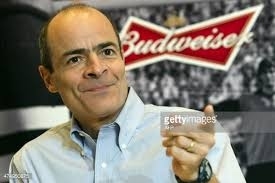 agreed to allocate the US sales of Millers and Coors to MolsonCoors to merge with SABMiller in October 2015, the anti competitive conduct by Carlos Brito, CEO of AB Inbev. and Peter Swinburn of Molson Coors through express agreements with their distributors to prevent low price competition and to use their state licenses as barriers to entry for new independent products (experienced this year by Kansas City Breweries Company in Missouri and Kansas ) became criminal where Carlos Brito and Peter Swinburn acting in concert control over 80% of the market. Carlos Brito is already being investigated by the US Department of Justice and the California Attorney General for AB Inbev.’s secret war on craft beer where AB Inbev. and SABMiller engage in throttling craft brewers by cutting them off from distributors. In addition to cheating Missouri and Kansas citizens consuming their favorite beverage, the cost of Carlos Brito and Peter Swinburn’s monopolization of the Missouri and Kansas beer markets has included preventing Kansas City Breweries Company from purchasing the Missouri Historical Landmark Imperial Brewery (once a Kansas City Breweries Company brewery before prohibition), a high profile blighted building impractical for any other use and from creating the hundreds of above living wage jobs with the excellent working conditions modeled in the Craft Beer market leader Boulevard Brewing Company in an industry where underemployed Missouri workers are competitive with anyone in the world. Missouri statutes utilize the three tier system preventing beer suppliers like AB Inbev. and Molson Coors from controlling distributors and from having financial interests in them. When distribution was used by the AB Inbev. and Molson Coors, like AB Inbev. and before them, AB Inbev. and SABMiller as a choke point and barrier to market entry, I was forced to organize Kansas City Breweries Company as a distributor and to delay accepting the capital to create a large modern industrial brewery. I urge you to use your agency’s revolving Antitrust enforcement funding to obtain an immediate injunction against the licensed Missouri distributors Glazer's, North Kansas City Beverage Co., Central States Beverage Company, and Fechtel Beverage & Sales from participating in any unlawful agreements restraining trade including group boycotting and price fixing through refusal to deal by AB Inbev. and MolsonCoors in Carlos Brito and Peter Swinburn’s felony monopolization scheme. Will beer be monopolized? At the height of the craft beer revolution, the big beer corporates are reacting to the lack of Antitrust Law Enforcement by turning to the tried and true Rockefeller Standard Oil play book to hold on to the industrial beer and light beer markets they still control. On October 20, 2015 AB InBev which controls roughly 45 percent of the U.S. Market and owns Anheuser Busch, announced a merger with SAB Miller controlling another 25 percent through its MillerCoors LLC joint venture with Molson Coors Brewing Co. This puts the In Bev cartel well over the level of market control that any of their allied distributors could lawfully use a non business interest reason to refuse to carry a product to protect Miller Light or Bud Light's market share. Sherman Act per se violations like Refusal to Deal are supposed to be followed by 20 Year prison sentences breaking rocks at the local federal penitentiary. However, in Missouri, the beachhead of the giant Belgium In Bev cartel, even the state and local governments are hostile to free trade and job creation when doing so may take market share from the old familiar iconic American brand labels some say were taken over by a foreign cartel as a necessary step to subjugating American consumers to the New World Order of job exporting trade deals and the loss of individual rights. Like the decision to give Chrysler to the Italian automobile maker FIAT ,reportedly announced at a Bilderberg meeting in Europe long before bankruptcy. I am in the second year of working to obtain a license for my Missouri corporation Kansas City Breweries Company to distribute beer so that I can bring to market the beer brands KC Lite TM and KC Lager TM. Kansas City Breweries Company was at one time the largest manufacturing employer in Jackson County and it is my hope that with the regional affinity for these two products, Kansas City Breweries Company can transition from a distributor of these two private label brands into a brewery, possibly restoring the historic landmark Kansas City Breweries Company/Imperial Brewery property at I-35 and Southwest Boulevard in Kansas City, Missouri represented by Dean Realty Co. The distribution license is necessary because of Sherman Act 18 USC § 1 prohibited antitrust conduct among Missouri distributors to prevent price competition in the light beer market1 which unlike the separate market for craft beers lead by Boulevard Brewing is by far the largest segment of the malt beverage industry. The first year was lost to the inexperience of the Jackson County and City of Kansas City, Missouri in the joint licensing of beer distribution warehouses exercised as a local government control option under state statute which would not allow an investigation of whether a state Bureau of Alcohol letter of zoning approval for the site at 3233 Troost could be issued by the Jackson County and City of Kansas City, Missouri Regulated Industries Office without having first obtaining a business license from the City of Kansas City and the Business License office by posted city policy could not be issued without Regulated Industries approval. Despite repeated pleading with the City Counsel and letters to the joint Jackson County and City of Kansas City, Missouri staff, this “Catch 22” dilemma could not be resolved. Later, the office of Regulated Industries reissued its policy guidelines and published on the web a set of requirements for local license approval of a 5% Beer Distribution Warehouse and I proceeded again with the attempt to license and open a beer distribution warehouse. It was too late for the community near 30th and Troost and the chance to locate approximate 30 badly needed above living wage jobs there where Jackson County's crime rate has remained the highest. However, Dennis Speer of Interstate Underground Warehouse And Industrial Park agreed to lease me unit 19 C at 8201 E. 23rd Street, in Kansas City, Missouri, a suitable underground warehouse facility while shouldering some of the licensing risk. 1 On October 20, 2015 the reason for this anticompetitive conduct by existing Missouri distributors was revealed. AB InBev which controls roughly 45 percent of the U.S. Market and owns Anheuser Busch, announced a merger with SAB Miller controlling another 25 percent through its MillerCoors LLC joint venture with Molson Coors Brewing Co..
the required 5% Beer Warehouse license, a waiver of personal property tax liability. Imagine my surprise when I discovered that this document which is required under RSMo 311.060 1 cannot by policy of the Clerk of Jackson County be obtained by a person like myself without property tax liability of any kind. I presented my photo I.D. as requested in both the personal property offices of the Independence, Missouri and Kansas City, Missouri court houses after first being sent erroneously to the Independence City Hall for the county property tax waiver by the Jackson County Personal Property Tax office downtown. I ask you to please investigate what we can do to report the absence of any personal property tax liability to Agent Sean Bonchonsky at Missouri Division of Alcohol And Tobacco Control. In the alternative, I ask you to direct me to what suggested county legislation could be introduced to prevent unreasonable “Catch 22” scenarios from being repeatedly introduced to keep entrepreneurs in Jackson County from conforming to Missouri state and federal licensing requirements and thereby improve the wealth and prosperity of the state economy. Most recently, after the president of North Kansas City Beverage enthusiastically receiving the possibility of distributing KC Lite and KC Lager, was told by the owner that these products could not be carried because doing so after the merger would upset SAB Miller now part of the In Bev cartel. Will Missouri law enforcement step in? 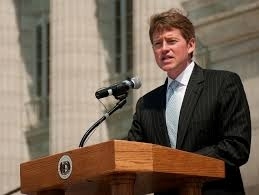 Will Attorney General Chris Koster enforce state law or write a letter objecting to the merger? Just like I was unable to create a business and contribute jobs to the economy, the harmful effects of unlawful restraint of trade will now eliminate many of the Missouri distributors that actively kept KC Lite and KC Lager out of the market. Tampa, Florida - Later this year, voters will decide whether to legalize medical marijuana in the State of Florida, but many likely won't remember the Ybor City murder that helped make pot illegal in the first place. In 1933, a man by the name of Victor Licata used an axe to murder his entire family inside their home on 1707 5th Avenue. "He wakes up in the middle of the wee hours of the morning - takes the axe from his father's fireplace and goes through the house and kills his family," said Ybor historian Joe Howden, who happens to live next door to the home. Like Lizzy Borden just six years before, Licata, hacked up his father, mother, two brothers and sister while they slept. "He had cleaned himself and dressed in his clothes. When they took him down to the police department and stripped him. They found his underwear was soaked in blood," Howden said. While there was no law against it, the Tampa Police Chief at the time said that he investigated allegations that Licata was addicted to smoking marijuana cigarettes. W.D. Bush later downplayed the role marijuana may have played in the murder due to a lack of proof, but by then the cat was out of the bag. The nation's drug czar at the time, Harry Anslinger, seized the opportunity to lobby federal lawmakers. "He stood before the federal government and said we need to criminalize marijuana," said Paul Guzzo. The Tampa Tribune reporter detailed the Licata murders in his book, The Dark Side of Sunshine. "He spoke the loudest how that this young man got high on marijuana and he murdered his family, and if he was not stoned this would not have happened, and if we don't do something about it, your family could be next," Guzzo said. Even the media helped the story along by making Licata the poster boy of how marijuana corrupts the mind. Nearly four years after the murders and one year after the "Reefer Madness" movie debut, congress passed the Marijuana Tax Act - essentially criminalizing cannabis. "They wanted to use marijuana to off shoot people from looking at what they were actually doing," said Rachelle Roach, a marijuana legislation advocate. Even though Licata was never tried for the murder after it was learned that he suffered from schizophrenia and had been sent to a psychiatric facility- where he eventually committed suicide- Roach wrote a letter to the clemency board to clear his name. "We don't think he's guilty of anything anyone said," she said. The home where all of this happened in Ybor City still stands today, but has been turned into an art studio. Eight months before voters decide on the future of medical marijuana, there's a twist of irony from the new owner of the home of a massacre that led to cannabis becoming illegal. "As far as I'm concerned this new voting issues coming up - I'm going to vote for medical marijuana," said Helen Marshal. "It's time to come into the 21st century, so it's like take care of people now. And if they're suffering they need to get relief." Tampa, FL- Today in Tampa, FL, the medical marijuana and cannabis educational group, Friends of Victor Licata, filed an application for a full pardon on behalf of Ybor City native Victor Licata with Florida Governor Rick Scott’s Office of Executive Clemency. Victor Licata, believed to be approximately 20 years old, and recently diagnosed with a severe hereditary mental illness has been the city’s most infamous son since being found in shock in his home on the morning of October 17, 1933 after the gruesome axe murder of his two parents, two of his brother and his sister. Instantly held responsible by a mob gathered at the home, the press and law enforcement officials who circulated rumors that Licata was “addicted” to marijuana. Victor Licata was not prosecuted for the crime, but was ordered to be confined in the Florida State Hospital for the Insane. Reformers who wanted marijuana made illegal with criminal penalties seized upon Victor Licata’s case and testimony before the US Congress to make marijuana a controlled substance regulated with narcotics incorporated the press accounts of the tragic axe murders of Licata’s family to justify the end of access to medical marijuana and cannabis products. This testimony was also the inspiration for the exploitation film Reefer Madness. As the Florida prosecuting attorney found, insufficient evidence existed that Victor Licata had murdered his family, and no evidence was produced that Victor Licata had abused marijuana or alcohol that would have made him responsible criminally for the deaths. However, the Friends of Victor Licata have accumulated documentary evidence by researchers including Historian Andrew Garrett that make Victor Licata’s involvement in the crime unlikely. This evidence includes the similar axe murders of two other Tampa area families in their sleep six years earlier when Victor Licata would have only been around the age of 14. The Friends of Victor Licata ask Governor Rick Scott to grant Victor Licata who had the adjudication of guilt withheld, a full pardon. An opportunity Victor Licata never could obtain under the stigma of baseless propaganda portraying Licata as a marijuana fiend like in the film Reefer Madness until committing suicide in the Florida State Penitentiary on December 4, 1950. About Friends of Victor Licata, www.VLmap.com. Chairwoman C. Rachelle Roach, MA, MNT, Cell phone 844-244-8420. Friends of Victor Licata was created by researchers and health conscious public policy advocates that recognize the opportunity to return American access to the longevity increasing and quality of life enhancing benefits of medical marijuana and cannabis products as states begin liberalizing laws treating marijuana use as a crime. The Friends of Victor Licata also recognize the opportunity for healing families torn apart by the misguided criminalization of this beneficial plant’s use which must begin here in Florida where the lies and misrepresentations began. Whether a plaintiff has standing based on injury to “property” within the meaning of RICO for a claim that a defendant carried out a scheme to fraudulently deny contractual rights state law recognizes as a property interest. Do Bell Atlantic Co. v. Twombly, 550 U.S. 544, 555-57 (2007), and Ashcroft v. Iqbal, 556 U.S. 662, 678-80 (2009) interpret 28 U.S.C. App. Fed. R. Civ. P. Rule 8: General Rules of Pleading’s factual burden of alleging civil rights retaliation, discrimination and conspiracy claims as requiring more than individualized allegations of each 42 U.S.C. § 1983 claim with supporting averments of factual conduct, circumstances, and knowledge of the conspiracy against each specific defendant? Could one man, Leonard Yale Millman, with control over key stakeholders in Bank of America (NYSEBAC ) , American International Group (NYSE AIG )and publicly traded residential construction companies including M.D.C. Holdings (NYSE MDC ) have caused the financial collapse of America’s leading banks and forced the Federal Reserve to prop up the derivatives market with funds it does not have? On this day when stocks have experienced a triple digit fall in value, the world is in its Fifth year of an economic depression, the US Treasury has falsified its report of the total national debt for the 87th day, and it is clear that the jobless recovery did not even last as long as the Federal Reserve's pumping schemes, it is time to ask. Who is to blame? Sir Arthur Conan Doyle’s fictional detective, Sherlock Holmes knew Professor James Moriarty was the criminal mastermind behind every racket in Nineteenth Century England. A case is now being made that one unscrupulous American businessman named Leonard Yale Millman, the founder of National Acceptance Company, First National Acceptance Company, and countless subsidiaries and bank holding companies, ran all the banking and insurance scams that caused the global financial collapse and that he is still controlling the institutions, regulators and law enforcement agencies that failed our nation. Even after his reported death. In 2006, I briefly met Millman's former son in law Stew Webb then visited him at length on several occasions during a series of articles by the investigative journalist Tom Flocco who was interviewing me about the Medical Supply Chain antitrust litigation against the Novation LLC hospital supply cartel in 2007. Stew Webb had an interesting story about how Millman utilized massive fraud through National Acceptance Corporation's origination of loans to non-creditworthy borrowers, often rounded up off the streets of Denver, Colorado and other cities for a cash kickback for which Millman could utilize their Social Security numbers to falsify loan applications and procure for himself the loan proceeds, while reselling the doomed notes to financial institutions. While such a scheme would seem to have a short life span before National Acceptance ran out of buyers for its notes, Millman also provided dubious reinsurance services for investment bankers reselling the notes to package them as more marketable assets. This early business morphed into what became the modern AIG and its critical role in the marketing of fraudulent derivatives based on the sham mortgages. Despite obligating itself to back securities many thousand times in excess of AIG's assets. Webb pointed out that Leonard Millman generously contributed to both political parties and had been a close confidant of President George H.W. Bush since their college days. And just as importantly, Millman reinvested the profits of his scheme into running drugs and guns on a massive scale. Not only was he able to remain untouchable by law enforcement agencies, he was able to obtain the largest federal construction contracts including the Denver International Airport and capital for the construction of hundreds of thousands of HUD residential units through his front companies during the very investigations that targeted him. I became intrigued with this story after having encountering pieces of information starting in 2001 that connected the Farm Foreclosure Crisis of the 1980’s and 1990’s, the Iran-Contra era back channel financing of anticommunist forces in Central America, the Savings and Loan scandals with the development of the electronic mortgage trading platform known as M.E.R.S. which enabled the bundling of counterfeit mortgages and misrepresented credit risks into "insured" securities that were sold to foreign pension funds, institutional, and individual investors. From many oral histories of farmers including Darwin Rice of Iowa and their advocates like Frank Williams of Kansas, I sat through in the late 1990's while going to law school, I knew that much of the violence associated with farm foreclosures resulted from the little known fact that most of the family farms taken by the federal government farm credit entities were actually current on their loans. This is one reason the Farmers Service Administration (then known as the Farm Home Administration) quickly developed SWAT teams to conduct the foreclosures. Principles in the agency had continuously run a scheme in the farm states where a local banker would be brought into the conspiracy and two fraudulent guaranteed loans would be issued for each real loan and the hapless farmer, often a Vietnam War veteran and his wife were deceived into signing multiple documents without realizing they were creating duplicate mortgages on a farm that had been in their family for generations. The only way the scheme could succeed without detection was for the farm to be foreclosed on. The part where the veteran is holding the USDA guaranteed note with the cherry red paid in full stamp when the sheriff's deputies overpowered him never was shown on the evening news. At the zenith of the corrupt scheme, President Clinton ordered his Agriculture Secretary Mike Espy to investigate the 500 farmer suicides in Oklahoma. Sidney Perceful, a former federal mediator that volunteered her time during that crisis told me that she had copied the autopsy reports and that the actual number of known farmer "suicides" reported was closer to 900 and that many had multiple gun shots to the head, sometimes from different caliber weapons. She said that the corrupt FSA officials had sped up their scheme to increase the cash flow and were foreclosing on farms even before the first annual payment was due by altering the property values so that the farmer would be under collateralized. Leonard Millman and George H.W. partnered in farming by forming the Clark Land Company, named after their friend Judge Glen Edward Clark, referred to as “The Judge” or “Mr. Fixit” because of his important role in assigning farm foreclosure cases to other judges, eventually making Millman and Bush two of the largest owners of American farmland. In the Summer of 2010, I traveled down to Tampa, Florida to witness the epicenter of the housing foreclosure crisis. Some of the attorneys, paralegals, and researchers organizing fledgling foreclosure defense efforts were using the strategies I had researched from the farm crisis, and like the farmers in the previous decades, they were also considering moving their causes to federal court. From what I knew of farmer's experiences in Kansas federal courts, I didn't have much to offer to the debate that gave hope for protecting a homeowner's rights. However, I did find strong evidence that multiple notes on the same property had been issued and each note was purportedly insured by the federal home loan guarantee agencies, just as the farm loans were duplicated. I tried to explain that the electronic mortgage platform appeared to be an apparatus or instrumentality to conceal the repeated bundling of multiple notes into securities for resale. Just as the FSA operatives had co-opted the local banker in each rural community to do a decade earlier. But, attorneys representing clients desperate to save their homes could not afford to investigate the injuries to the investors and banks who were being sold the notes by Countrywide and other dishonest loan originators. The most difficult part for me to understand was who would have the motive and opportunity to do such destructive crimes that threatened our nation's institutions and even its treasury and central bank, the Federal Reserve, and get away with it ? That is why I started to look more closely at Stew Webb's father in law, Leonard Millman. Millman had the modus operendi and the political connections, coupled with from all accounts, a supernatural greed that could not be stopped. But was I too late? This was 2010 and even though Millman's empire was all around me, once my eyes had been opened to how to follow the money and common names he utilized for his front companies and cut outs. 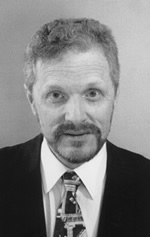 Leonard Millman had reportedly died in Arizona in 2004. Yet his lieutenants were still holding their interlocking directorships, the assets were still being controlled by the same holding companies and the destruction to America's financial system was still proceeding ton Millman's order. In 2012, while Bank of America and its trustee for securitized mortgage backed loan trusts, Bank of New York Mellon were in New York State Court trying to force their investors to take $8.5 Billion dollars as a settlement for not having actually transferred the thousands of former Countrywide mortgages into the state investment trusts that were resold on Wall Street as safe, secured investments guaranteed with a 100% buy back agreement that neither Bank of America or Bank of New York Mellon haave the assets to honor, I filed a Racketeering complaint in Kansas District court against Countrywide's successor in interest and willing participant in the Leonard Millman mortgage fraud scheme. The case is captioned Landrith v. Bank of New York Mellon, et al. KS Dist. Court Case No. 12-CV-02352-EFM-EJW, now on appeal in the Tenth Circuit as case no. 13-3080 over whether State of Kansas law or federal law applies to previous state court decisions. A simple way to look at the common thread in the radical and transformative economic events starting with the farm crisis and proceeding through the housing foreclosure crisis and the subsequent collapse of the American banking system is that they were a way to create rapid growth in the money supply outside of the U.S. Treasury ‘s issuance of debt and the way banks leverage those debt instruments and the assets of their depositors and investors. As alternative wealth creation systems, they escaped the regulatory control and law enforcement oversight of the nation’s commercial and investment banking systems and therefore were vulnerable to organized crime. Stew Webb related that Leonard Millman had a strong background in organized crime from the romanticized glory days and Bugsy Siegel's founding of Las Vegas. Yet, the organized crime we think of in our popular culture does not explain the failure of federal government agencies to regulate or enforce the laws in commercial and investment banking when these instruments became securitized and sold to investors around the world through Wall Street. Hollywood films and television dramas have familiarized viewers with mafia families and battles among gangs for territories, invariably ending in the destruction of the criminal enterprise, the arrest of the wrong doers and the message that crime does not pay. All to meet industry standards, government broadcasting license requirements, and the propaganda placement objectives of various federal funding programs. Except for Congressional hearings and the prosecution of a few token fall guys in the Savings and Loan failures, the Securities and Exchange Commission, the Office of the Comptroller of the Currency, the Federal Bureau of Investigation, and the US Department of Justice all failed to act. Even when the nation’s bank and mortgage guarantee funds including FSLIC, Fannie Mae, Freddie Mac, and the FDIC were being bankrupted by the crimes. The force behind what has happened to our nation clearly had power over both major political parties and the bureaucracies in our nation’s regulatory and law enforcement agencies. Could Leonard Millman control such a large network of persons in competing groups and ensure the agencies and institutions consistently acted counter to the public policy? Bret D. Landrith served honorably in Army National Guard for 18 years and was prevented from retiring in the Guard and from working in the private sector by the joint state/federal task force use of threat fusion center databases for having successfully brought a civil rights case to federal court on behalf of an African American against the City of Topeka. You cannot fix the 1940's work-around the statist wage controls during World War II that took health care and its big cost driver, insurance, into an unholy state and big corporation partnership with more statist market controls. The insurance companies wrote Obamacare to maximize their profit, which has always been tied to artificial inflation of prices. The Medical Supply GPO's had market assignment built into Obamacare, guaranteeing they could continue their 50 % or more mark up defrauding Medicare and Medicaid forevermore. Statism ("Socialism") cannot efficiently allocate resources. It has no defense against greed and organized crime. Only free markets can. A majority of US Supreme Court Justices recognize that America is a free market nation and state control of markets, including the ability to force citizens to buy services from private vendors against their will is unconstitutional. How reaching out directly to broader groups of policy makers gave one determined man game changing moves. The Eighth Circuit US Court of Appeals is not a legislative district. But that did not stop healthcare market based reform activist Sam Lipari of MedicalSupplyChain.com from taking his fight directly to every individual state legislator in Arkansas, Iowa, Minnesota, Missouri, Nebraska, North Dakota, and South Dakota. The states that make up the Eighth Circuit Appellate jurisdiction. Lipari took his fight to the individual state law makers after repeatedly getting outcomes in hospital supply antitrust and commercial litigation in federal courts that he observes did not comply with the controlling law of the Eighth Circuit and the US Supreme Court. Lipari calls his strategy “ Narrowcasting ” differentiating it from traditional mass media coverage of news used by lawmakers to understand and address important state issues. Essentially narrowcasting is Media 2.0 and dramatically enhances The Value Chain for content like Lipari’s automation of hospital purchasing did the medical supply chain. In the professions, media consumers including state lawmakers are very busy people and attention is a scarce commodity. MedicalSupplyChain.com helped nurses and doctors replenish supplies with artificial intelligence algorithms locating the most competitive suppliers in an electronic marketplace featuring reverse auctions. Allowing healthcare professionals to spend their valuable time on treating patients. Lipari utilized narrowcasting to get data ( usually evidentiary documents) to policymakers to inform decisions specifically tailored to the budget crisis each state was facing. Lipari claims that lawmakers in state legislatures have come to realize that main stream news media can no longer be relied upon for useful or valid information about the causes of state revenue deficits, lost jobs and especially about what Lipari maintains are the conditions that caused healthcare costs to be artificially inflated through a monopoly. 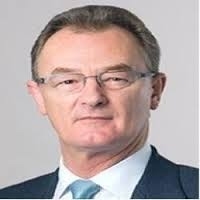 MedicalSupplyChain.com is fighting to enter a market monopolized by the healthcare group purchasing giants Novation LLC and Premier Partners. Lipari believes the Novation LLC cartel’s business practices include Unlawful Kickbacks from manufacturers like General Electric, Johnson & Johnson , and suppliers like Cerner to have long term or ten year distribution contracts assigning market share for everything from band aids , imaging equipment to malfunctioning patient case management software. According to Lipari, the Congress and President Obama approached the resulting healthcare cost crisis from a “Governmentalist” perspective that inappropriately subsidized private insurers and positioned Medicare, Medicaid and private employer health plans to raise rates and decrease coverage. Lipari claims that this is in reality the imposition of rationing. At odds to Lipari and other market reformers seeking to restore competition to reduce healthcare costs and increase access,Governmentalists see rationing and increasing premiums as the only way to deal with an aging populations demanding more healthcare services and supplies. State lawmakers are waking up to Lipari's Jobs Message. Since 2005 Lipari has been warning that states will be losing their above living wage jobs in auto manufacturing and other industries. The increased costs from the lack of competition in the Two Trillion Dollar Market for hospital supplies, even competition that state and federal antitrust laws require, has over priced healthcare costs to employers, and therefore shot the costs of American made products, out of the ballpark. Ultimately healthcare costs prevented General Motors from even competing in its own home market. Lipari resorted to narrow casting and to communicating directly with government officials in different states and the seven states in Lipari’s Eighth Circuit Appeals district when the mainstream media was silent on the outcomes Lipari and others challenging the Novation LLC monopoly were getting in court. As proof, Lipari points to a Houston Chronicle investigative journalism series that published in that paper’s print and online editions an article “Judging The Judges, Veil of secrecy stirring calls for change”, by Lise Olsen on Dec. 30, 2009. The article was about US Circuit Courts of Appeal that have the responsibility for investigating judicial ethics complaints and points out they have largely been refusing to advance investigations of federal district court judges when complaints are filed. The Houston Chronicle reporters interviewed Michael Gans, the Eighth Circuit Clerk of the Court about the failure of Chief Judge James B. Loken to proceed to a formal investigation on any judicial ethics complaints, including complaints against judges in Lipari’s home state of Missouri. Shortly after Lipari referenced this article in a court filing, the Houston Chronicle withdrew access to the article from its web site (the article has now returned to being accessible online at www.chron.com).Lipari maintains that the Houston Chronicle’s brief self censorship proves that state lawmakers are being ill served by mainstream media where the hospital supply monopoly is able to control information used by the public to address healthcare policy issues. Lipari maintains that control over mainstream media led the Congress and President Obama to mistakenly address the wrong issue. Health insurance administrative costs had not measurably increased and instead the artificial inflation of monopoly suppliers in the now 2 trillion dollar hospital supply market had driven the US healthcare delivery system to be too costly for even US automakers or state Medicaid programs. State officials are getting Lipari’s message loud and clear. Last Wednesday when Missouri Lt. Gov. Peter Kinder announced a legal challenge on behalf of the state, Lipari’s narrow casting mission was complete. Every State in the Eighth Circuit had resolved legislatively or through government officials to challenge implementation of the Congress and President Obama’s Healthcare Reform Act. "The health-care legislation’s expansion of the federal government’s purview has improved our civic health by rekindling interest in what this expansion threatens — the Framers’ design for limited government. Conservatives distraught about the survival of the individual mandate are missing the considerable consolation prize they won when the Supreme Court rejected a constitutional rationale for the mandate — Congress’s rationale — that was pregnant with rampant statism. The case challenged the court to fashion a judicially administrable principle that limits Congress’s power to act on the mere pretense of regulating interstate commerce. At least Roberts got the court to embrace emphatic language rejecting the Commerce Clause rationale for penalizing the inactivity of not buying insurance"
But Can He Stop Kansas Organized Crime? We will soon see if the trafficking of Kansas children and obstruction of justice continued with his approval or if he was deceived. The civil rights litigation over these issues is now in federal court. ‪Landrith v. Kansas AG Derek Schmidt . Stay tuned. Can Federal Law Determine a Kansas District Court Outcome Involving State Judicial Branch Officials? In a law geek way, a federal case that spun off a civil rights case I brought in the State of Kansas Shawnee District Court against SRS officials goes to the root of a string of Kansas District Court decisions over the last decade that give great deference to State of Kansas courts and their observation of US Constitutional protections of citizens. When cases come to federal court like Valerie Rosporoy's attempt to remove her family law case to federal court where non judge and non attorney case managers were failing to protect her two infant boys from cigarette burns and sodomizing by an SRS documented abuser, serious constitutional issues are implicated but the Kansas District Court even with the evidence in its records has returned the action to state court. I was experiencing what an independent observer would find was the Kansas District Court again being reluctant to exert jurisdiction, despite clearly established law and an absence of any supported counter argument by Kansas Attorney General Derek Schmidt. I gave Kansas Attorney General Derek Schmidt an opportunity to address the misconduct of his office in the case to avoid the mandamus but Kansas Attorney General Derek Schmidt declined to do so. Governor Sam Brownback's SRS Secretary Resigns After I Suggest it. On November 28, 2011 I filed a response to the Kansas Secretary of the Social and Rehabilitation Services’ Motion to Dismiss my civil rights claims against Secretary Rob Siedlecki. My response also included a Motion to Amend my petition to include additional claims for monetary damages for things Siedlecki did before injunctive relief without monetary damages could be granted. No one seemed to pay attention to my answer and amended complaint until I posted it online Monday, December 12, 2011. Answer to Motion to Dismiss . Later that day Siedlecki’s SRS attorneys filed an untimely motion for extension to answer. non practice of law employment because of the defendants’ misconduct described in the First Amended Complaint. now continues the defendants’ intentional misrepresentation of the law regarding the plaintiff’s standing for civil rights relief to be able to work again and support his family. 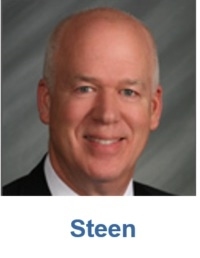 The purpose of SECRETARY OF SRS ROB SIEDLEKI’s participation in this conduct is to obstruct justice and conceal the felony kidnapping of Baby C.
The defendant SECRETARY OF SRS ROB SIEDLEKI now has a moral duty to resign his position with the Kansas SRS and return any salary he received from the state." I had previously argued that SRS attorneys could not defend SRS officials in court because statutes and the Kansas Constitution require the Attorney General to do so. It is important because when state officials commit criminal offenses, the Attorney General is required to investigate them. I lost the motion I filed to disqualified counsel where I cited the same authorities Sedgwick County District Attorney Nola Foulston used to disqualify then Attorney General Phil Kline from brining a criminal prosecution. It is my best guess that Rob Siedlecki, a Florida licensed attorney realized that he was responsible for what SRS employees, contractors and agents have been doing to me and to natural parents like Valerie Rosproy and my former client David M. Price during the time Siedlecki had notice of the agency’s child trafficking and his agents SRS attorneys (who bear the professional responsibility for misrepresentations made to Kansas judges to take children from their parents through fraud as part of a continuing scheme to profit from federal funds) misconduct to try to have my claims dismissed and delayed. The Second Amended Petition details how the violations of my civil rights have continued while the agency and the defendants continue participating in criminal racketeering schemes to enrich private actors through fraud at the expense of the welfare of Kansas citizens. I have even had to go to federal court to address the results of misconduct SRS attorneys and their contractors committed against me after my filing for relief in state court. On Thursday, December 15, 2011 Rob Siedlecki resigned, announcing that by the end of the month he would return to Florida. Governor Sam Brownback has focused his administration on restoring the family. Labeled a Social Conservative, Brownback as a US Senator also fought for basic human rights globally and especially for North Korean refugees. Rob Siedlecki, an administrator in the State of Florida’s social services, was recruited to implement reforms over the SRS that are a priority for not only Governor Sam Brownback’s core political constituency but also state legislators who have been trying for the last decade to reign in abuses to children under the agency’s care, rampant fraud by contractors and a lack of accountability for the agency’s attorneys in Kansas courts. Questioning first the agency’s involvement in involuntary adoptions for profit, then preventable deaths of infants in foster care, and most recently the unnecessary taking of children through fraud for hundreds of millions of dollars in federal subsidies and the administration of unnecessary and dangerous pharmaceuticals to infants in state care for kickbacks. Reform of the SRS is not a partisan issue and even the opposite ends of the spectrum social conservative Republican and progressive Democrat voters want a safe place for children that are in danger in their family home and for quality healthcare to be available to children in the custody of the state. No one as a voter can support taking children away from their family and providing fraudulent filings in court to delay returning children to their family, solely to maximize the federal funds available once a child is taken for more than a year. Similarly, the idea that drugs would be administered to children, even infants under 3 years old that risked their health but maximized payments from pharmaceutical companies at the expense of robbing resources for the state’s disadvantaged in Medicaid. Governor Sam Brownback and Rob Siedlecki were most criticized for their plans to steer administration of SRS programs to faith based organizations. I am not a Social Conservative, but it seemed like a way to take the terrible profit and criminal motivations out of decisions made for our state’s vulnerable children. If Rob Siedlecki could not change the culture of the SRS away from being an enabler to child traffickers and Medicare fraudsters with the radical restructuring of the agency under his watch, maybe Governor Sam Brownback is right in pressing for even more reorganization. The governor may even have a bigger purpose behind changing the Juvenile Justice Administration. Its not popular to believe in families during times when many believe the federal government is the solution to everything. But, its hard to understand how Brownback could go wrong by restoring families, not tearing them apart. Over the holidays, I was honored to be substituted in a New Jersey civil rights law suit for an earlier graduate of my Washburn School of Law law alma mater, Brandon Mayfield. I think Mayfield will be remembered as one of the greatest legal practitioners of the century, simply for peacefully standing up to an unimaginable abuse of power by an administration that thought the Constitution was dead. In a nation where the right to raise your own children is under assault with giant federal bonuses for each child taken, and state Child Protective Services have been repeatedly criticized for fraud in the termination of parental rights, not even a CPS worker can top the US Attorney for the District of Oregon who had Mayfield falsely arrested for a terrorist bombing in Spain that killed 191 people because he was defending the parental rights of a Muslim African American. It is my sincere hope that New Jersey attorneys will step forward and address these injustices. and the New Jersey State Bar Association to regroup and think about why we represent people even when it is politically unpopular, I will be on the next flight. Florida is one of the first states drastically effected by MERS conduct in the registration of secured interests to real estate. At odds to Lipari and other market reformers seeking to restore competition to reduce healthcare costs and increase access, Governmentalists see rationing and increasing premiums as the only way to deal with an aging populations demanding more healthcare services and supplies. I have been reading the Drudge Report daily since the early days of the Clinton presidential administration. Today I just read some people on Capitol Hill are planning the Death of Federalism. Changes of the US Bankruptcy code are being considered that would let states seek bankruptcy protection. Incredibly, the reorganization of General Motors is being used as a role model. I remember the previous time General Motors was considering entering the bankruptcy court. It was 2006 and United Airlines had just shed $3.2 billion worth of pension obligations for over 134,000 employees in Judge Eugene Wedoff's Northern District of Illinois Bankruptcy Court. Even as a conservative Republican I recognized these obligations were real contracts, like pension benefits obtained in labor union negotiations. Not the fraud based derivatives our banking bailout rescued. General Motors' management knew it was in trouble. For over a decade it had been under reporting its pension liabilities. No Securities and Exchange Commission enforcement had yet shut them down for their corporate filings, even after the Sarbanes–Oxley Act of 2002 increased the liabilities for false representation. But, with no checks and balances, GM drifted so far away from its shareholder's interests that it could not even manage the costs for the cars it was building. This is the "moral hazard" an entity with the safety net of a "do-over" in the form of a bankruptcy might risk. It is not risk the State of Illinois or the State of California should ever come close to taking. A federal bankruptcy court court judge presided over the proceeding that removed from office GM's controlling officials and the decision to replace them with managers approved by representatives of the creditors. Under our system of federalism, a state is a sovereign. Neither a federal judge nor a federal anybody can preside over removing the state's elected officials or even supervise a plan to return the state to solvency. At the time of the United Airlines bankruptcy, Judge Wedoff was a leading light in the Law and Economics movement, the judicial branch philosophy of Classical Liberal Economics near and dear to my heart. Now Judge Wedoff is busy working on the new bankruptcy code, a formidable project even without Congress directing him to write another chapter for formerly sovereign states to be debtors under control of a bankruptcy proceeding. District Courts are quick to tell a party relief is unavailable when the solution is purely political. When citizens of states elect people that squander the state's investments or equally importantly, fail to enforce state laws, market forces will stop funding the problem and swiftly increase interest rates until confidence is restored. Citizens who suffer this failure of state government will quickly change their leaders at the ballot box. If a Congressman has questions on why no bankruptcy protection for states is a good thing and does not want to direct it to their colleague Rep. Ron Paul (R. Tex), the Judicial Branch has loaned them the expertise of Hon. Judge Wedoff. Trying to create "protections" for state politicians who are not exercising their fiduciary responsibilities will lead to a crisis that will make everyone forget the residential foreclosure and Mortgage Backed Security crisis. None of the contents of this web site is subject to copyright and can be freely distributed.